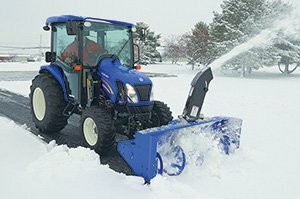 With our Canadian winters, it’s a burden keeping up with clearing the snow from your driveway and walk-ways for both home and business owners. Stay nice and cozy inside and let us remove the snow and de-ice the areas around your home or business that can pose a threat for falling and injuring yourself. You’ll appreciate it, and so will your insurance company! With tractors strategically placed throughout the city of London, we’re equipped to clear the snow from your sensitive driveways in a timely manner. These units have been specifically set up with blowers and blades that will not damage your stamped concrete and paving stone driveways.